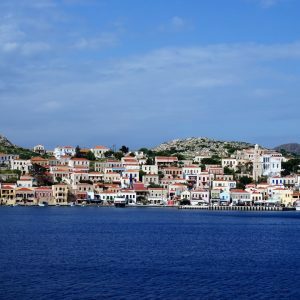 Discover a sailing paradise: the Dodecanese Islands. 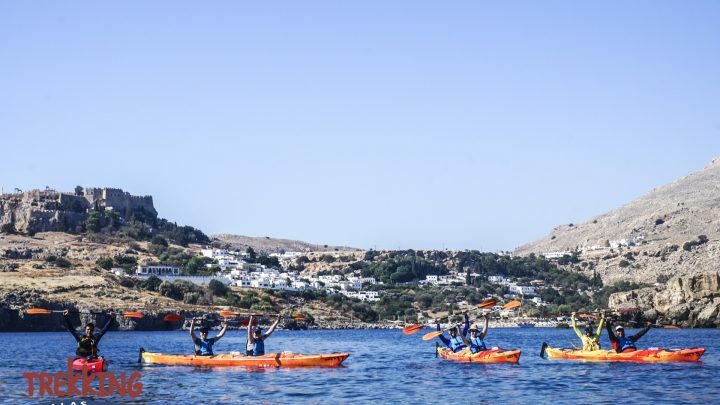 Enjoy the excellent weather conditions throughout all summer (from June to September) and explore the gems of the Aegean Sea. 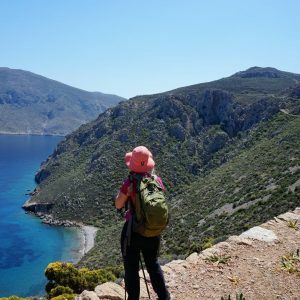 With the Meltemia (Northern) winds in our favour, we sail from Kos to Rhodes, exploring four different islands on our way and countless hidden bays. 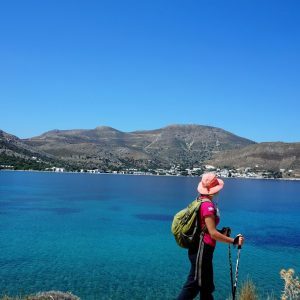 Every island has a unique character, and our guide is always by your side to help you discover, mostly on foot, every magnificent corner of this full of light part of Greece. Sailing boat (HANSE, 37 feet) – Bathroom and Showering facilities (Hot and cold water). All necessary port fees and fuel. Hikes (Days 3, 4, 5). 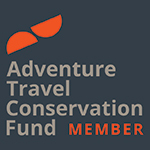 Walking tours (Days 2 and 6). Breakfast daily (Days 1 to 7). Lunches and drinks on board (Days 2, 3, 4, 5, 6). Dinners in taverns (Days 2, 3, 4, 5, 6). Local transfers to Kos, Nisiros and Rhodes. 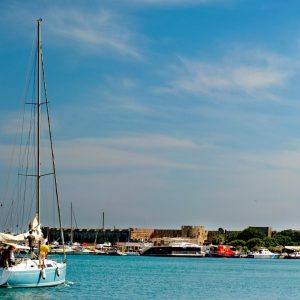 Two nights in boutique hotels (Kos and Rhodes). Four nights on board in double cabins (3 in total). 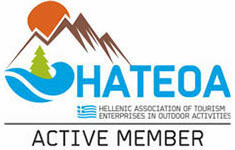 Professional Trekking Hellas, English speaking Guide. Entrance fees to archaeological sites. 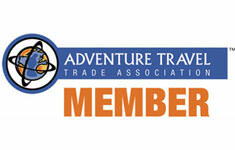 Optional gratuities to guide, skippers and crew. Arrival in Kos, settle in your hotel. 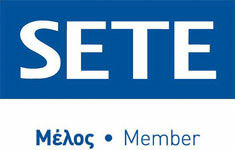 Meeting at lobby with Trekking Hellas Guide for essential briefing before departure from the marina of Kos. Free time to wonder in the medieval castle of Kos, and through the streets of the new city. After a savoury breakfast, time to meet the skippers who welcome us on board on the sailing boat “Armida”. Since all the necessary information is given, it’s time to set off for our sailing adventure. 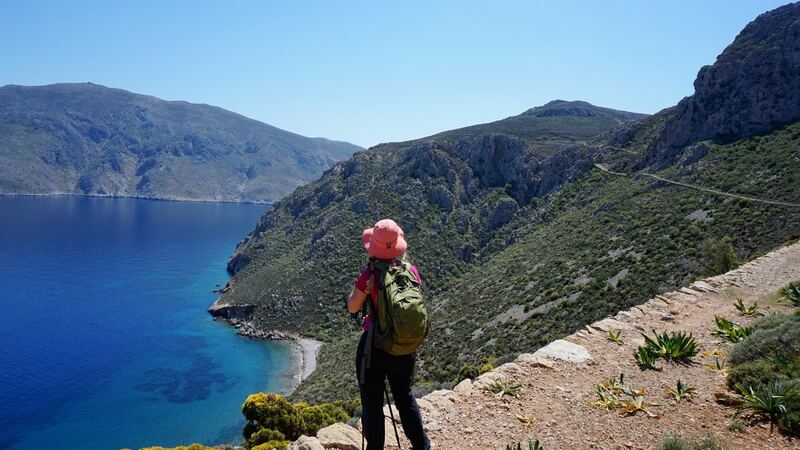 First stop is the magical island of Gyali, close by to Nisiros. Both islands belong to the volcanic arch of the Aegean, so the land’s colour is more than unique. Swimming and snorkelling time at Gyali’s crystal waters and then lunch on board. At the early afternoon we dock to Nisiros’ port, Palous, and we set off for our first walk to the volcano. 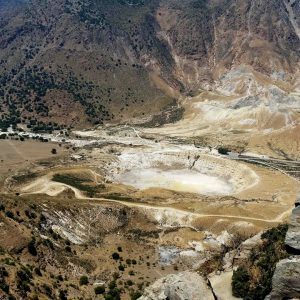 The experience of walking through a volcanic crater can be quite dramatic and breathtaking. At the evening, we enjoy a dinner at a seaside tavern. Sailing: 26 N.Miles (approx. 4 hours). 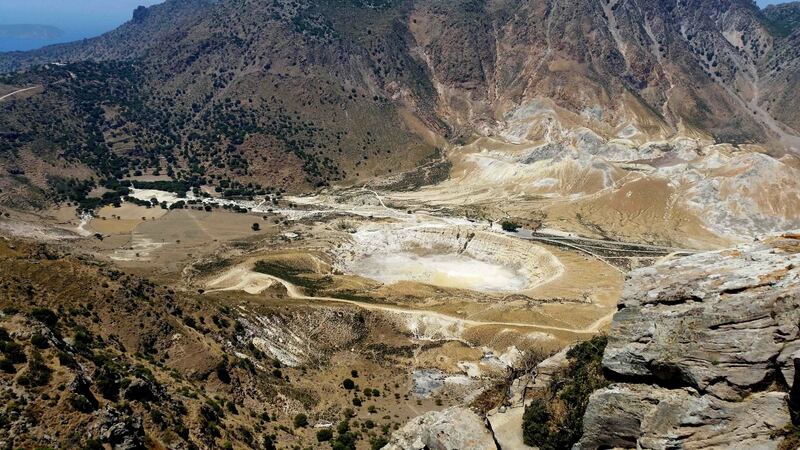 Walking: Within Stefanos’ crater (approx. 1 hour). 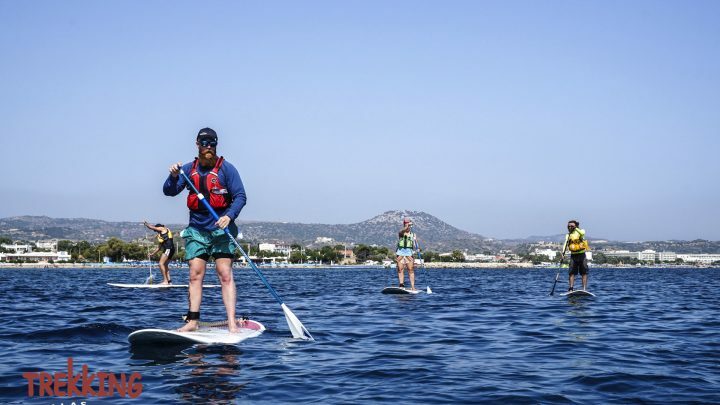 Next destination is Tilos, an island that has been recently awarded as the most “green island” in the Mediterranean area, obtaining its energy entirely on wind and solar power. After some swimming stops in the Aegean sea and a wonderful lunch on board, we reach the main port of Tilos, the picturesque Livadia. Today’s hike combines all you have ever thought of Greece. 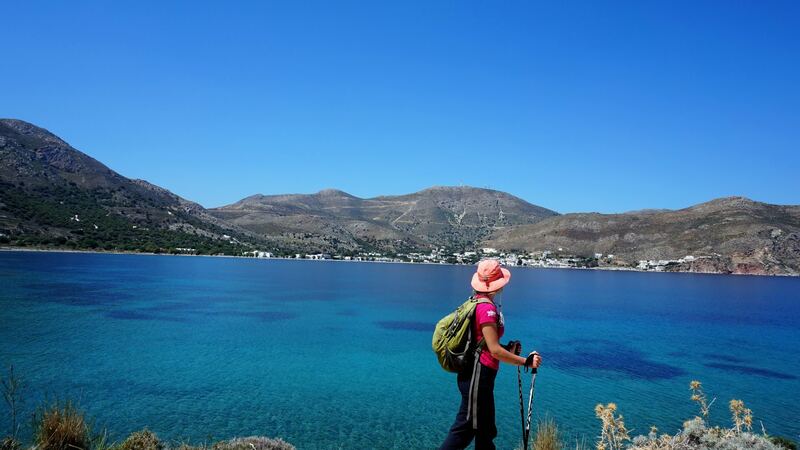 Starting from Livadia, the trail leads us – following the coast line – to lovely beaches, including a red soiled one! After reaching Lethra Beach, a green paradise full of trees, we begin the ascent towards Mikro Chorio (small village in Greek). Once a highly populated village, now a deserted one, with abandoned houses, narrow alleys, green yards and only inhabitants a few goats. During the summer months a bar operates here were customers can stroll around this one of a kind “ghost” village. Picturesque as it can be, we leave it behind, while starting the descent towards our starting point, Livadia. Sailing: 20 N. Miles (approx. 3 hours). Hiking: 7,5 km (actual hiking time: 3 hours). 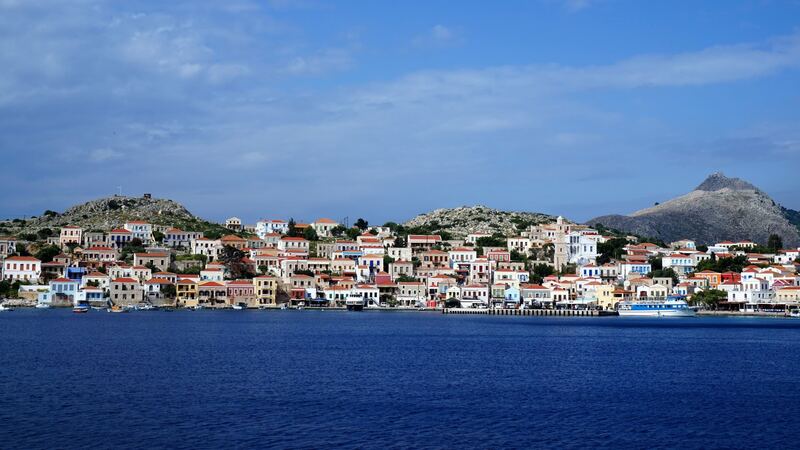 Next visit is at the miniature island of Halki, that was once declared as the island of Peace and Friendship. Before though reaching its port, we set off for the deserted island of Alimia. We reach its first wide bay, where the main town once stood. This village was declared a protected settlement in 1978. We disembark there, in order to hike through its untouched treasures. We wonder through forgotten trails, since the island is uninhabited since the 2nd World War. In the Hellenistic times, Alimia was used as an anchorage and observatory for the Rhodian fleet. A tower was constructed that survives till today on the eastern side of the tallest peak of the island. Part of this Hellenistic tower was used for the construction of a Medieval Castle in 1475 by the Knights of Saint John, who had conquered Dodecanese that time. Once arrived to the second significant bay of the island, we have the chance to swim to its crystal clear waters, and then enjoy a lunch on board. Early afternoon, we sail to beautiful Halki. Its port resembles a postcard, with is colourful building’s facades that once belonged to rich sailors. We enjoy a romantic dinner by the sea. Hiking: 6 km (actual hiking time: 2,5 hours). 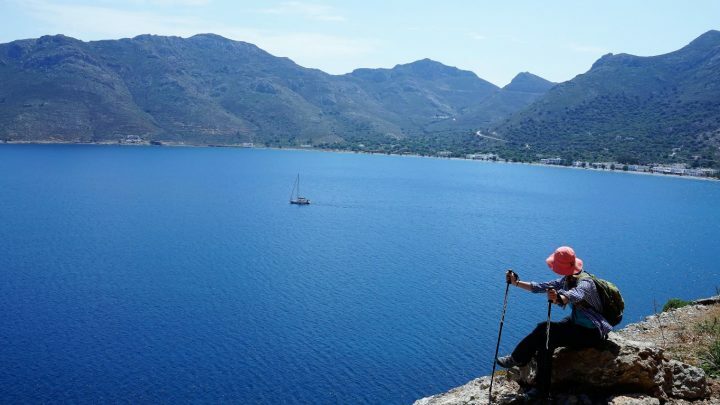 Early in the morning we sail to Symi, the most cosmopolitan but also remote island of the Dodecanese complex. On our way we stop to several bays to enjoy their emerald green colours, like St George Disalonas. 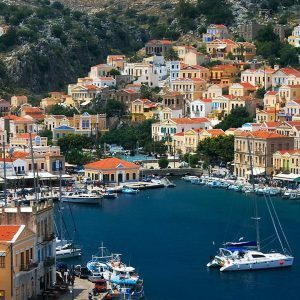 After a lunch on board, we reach the port of Symi, early in the afternoon, and we walk till Pedi, a calm bay next to the town. At St Nicolas tavern its time to learn how to cook some of the famous Greek dishes that we have been enjoying all these days. 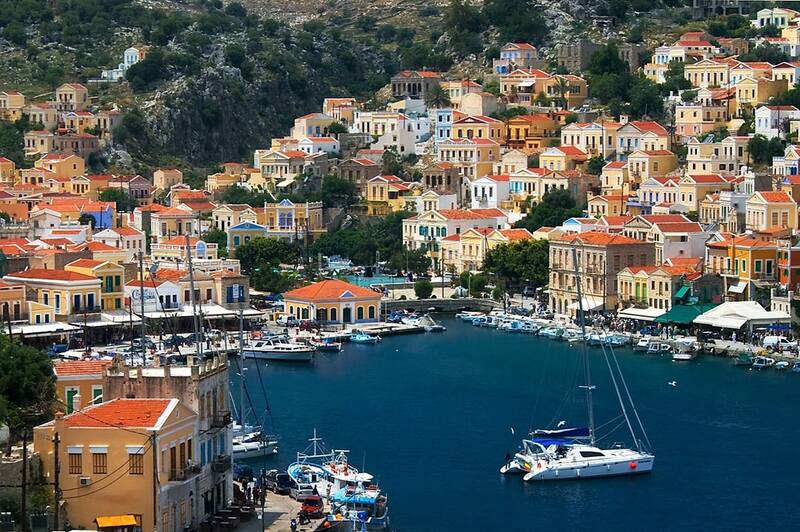 At sunset time, we walk back to the port, while enjoying the picturesque views of Symi. Sailing: 30 N. Miles (approx. 6 hours – stops included). Hiking: 4 km (actual hiking time: 2 hours). 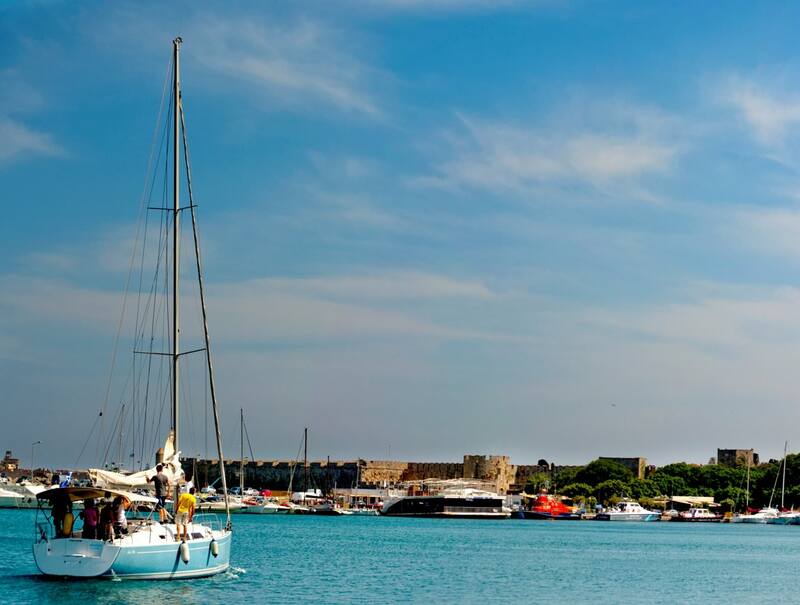 Last day of our sailing adventure, and we sail to Rhodes, the largest and richest in history island of the Dodecanese. On our way we have the chance to swim in some more bays, enjoy a lunch on board, before reaching Mandraki port. The way in the port is totally unique due to the walls that surround the city and date from the medieval times. At afternoon time, we walk in the city’s walls to enter the Medieval town that is declared an UNESCO Heritage Monument. We feel the unique, full of mystery, atmosphere of the castle and wander through its narrow alleys. We enjoy our farewell dinner in the old town and check-in in our hotel. Sailing: 24 N. Miles (approx. 3,5 hours). Walking: 2 km (actual hiking time: 1,5 hours). Departure day. Transfer to airport (or extension of the trip).